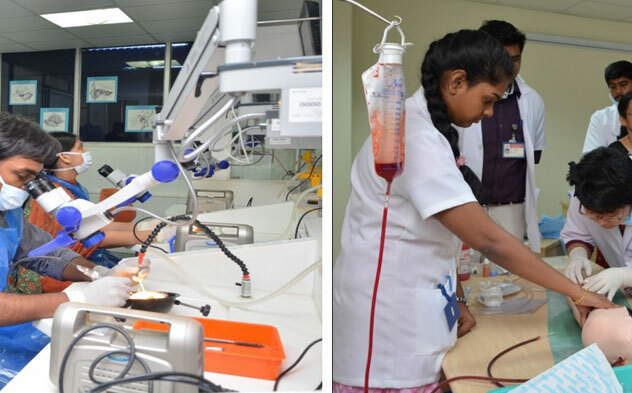 Sri Ramachandra Institute of Higher Education and Research (Deemed to be University) has established a Central Research Facility to gain recognition as a centre of excellence in medical research. Prof. S. P. Thyagarajan, an internationally renowned medical scientist and former Vice-Chancellor, University of Madras, has conducted 55 research projects during his 40 years of research career, made 335 publications and written 18 books. 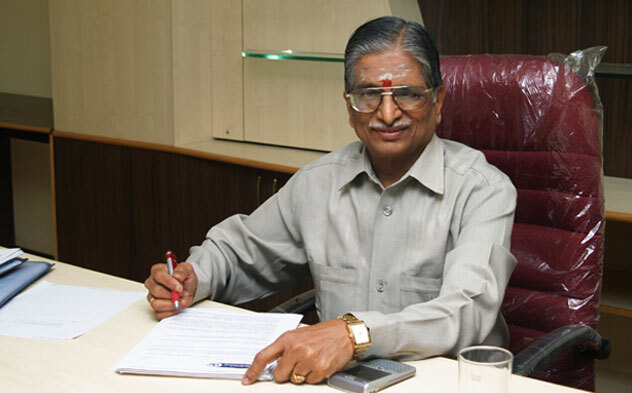 He holds a patent for a drug formulated from an Indian medicinal plant for chronic Hepatitis B and also holds 4 more patents. The Central Research Facility has established in 2007 to gain recognition as a Centre of Excellence in Medical Research. It is the “A to Z gateway” for research for students, researchers and Faculty members, to take care of all logistics of research planning, research projects Accounts and Finances, research documentation, besides providing a centralized sophisticated equipment facility and the University-Industry Liaison Centre with IRP/Patents Cell to the entire University. This facility, in a plinth area of 25,000 sq.ft., has Clinical Trials Division, Epidemiology Research Division, Project Development and Documentation Unit and a University Sophisticated Instrumentation Laboratory besides a centralized administrative office. All high-tech equipment for the genomics (including Next generation sequencing), cell biology, spectroscopy, chromatography, radioisotopy, Confocal microscopy, Flowcytometry, NMR facilities along with walk-in-cold room [4 °C], cryopreservation unit [-80 °C], cold room [-20 °C] etc. are available. As an innovative research strengthening initiative, the University has established SRU Centres of Research on thrust areas of strength demonstrated by the faculty.